Join us December 12, 2018 at the Anvil Centre for Sips ‘n Scripts -- free, festive, family-friendly fun! Call 604 527 4640 for more information. Free event--no ticket required. 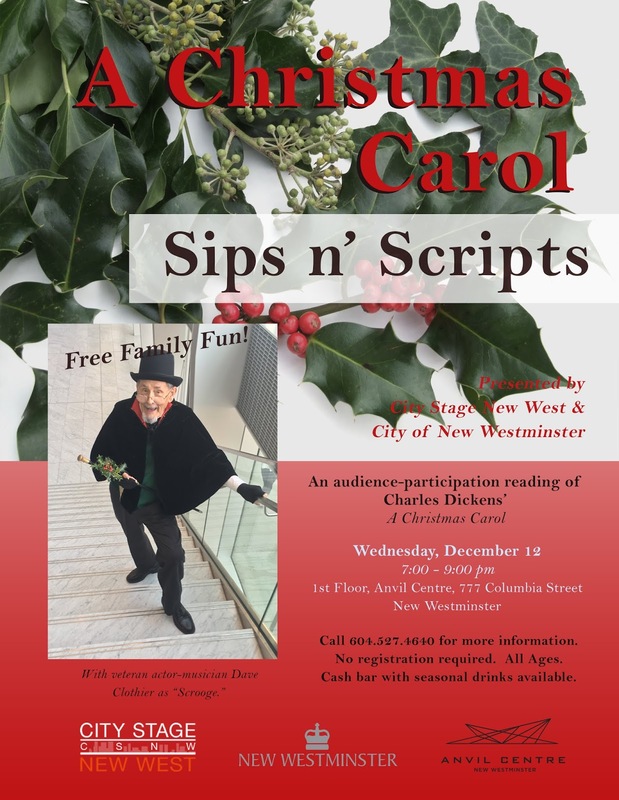 Join us for an audience-participation reading lead by veteran actor-musician Dave Clothier as “Scrooge”. Read a part, throw a snowball, join the Christmas sing-along-- or just sit back and enjoy the fun. Seasonal drinks available. Free and family friendly.